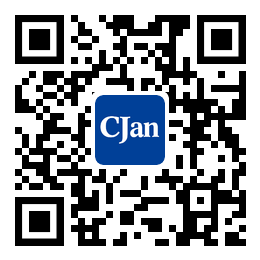 ﻿ The Classification and Application of the Rubber Hoses - CJan Fluid Technology Co., Ltd. Distinguished from the hard tube, the largest feature of the rubber hoses is its flexibility. Depending on the operating conditions and performance requirements, the design of the hose varies greatly. And its common parameters include size, pressure, weight, length, bending, chemical durability and so on. Compared with the civilian hose pipe, the industrial environment is more complicated, worse, and the equipment is more demanding, so the industrial hoses have strict norms and standards from design, material selection to production, transportation and even eventual storage. The industrial hoses are available in a wide range of sizes, with greater temperature range and better chemical resistance. The application of the industrial hoses covers all industrial production and circulation field, and it is widely used in petroleum, chemical industry, ship, dock, tank car, agriculture, food, beverage, pharmaceutical and other industries, as well as the hot and cold water, steam, ventilation, cooling, fire protection, hydraulic, medium such as air, water, fog, mud, sand, iron grain of all aspects and so on. To the industrial-grade rubber hoses, whether the medium is water, gas, oil, chemical or other. It usually consists of inner, outer and middle layers. The middle layer is usually made of braided fabric, and it has the function of strengthening the strength of the hose. In addition, there is a common embedded wire between inside and outside glue, it is suitable for vacuum negative pressure operation. There is also conductive wire, which can be used to prohibit the production of spark work environment, such as fuel oil.